We are now Open Wednesdays thru Sundays from 10 AM to 5 PM. Right now emails are the best way to reach us as we are not around the phone much. Welcome to the new HKF website, the most informative, award winning website on the Internet when it comes to Koi, Koi ponds, and everything associated with this wonderful hobby! If you have never been to this website before, prepare to be blown away! If you have been here but not recently, make sure you check it out again. This entire site has been completely and recently updated and improved with lots of new articles, photos, and informative videos! We sell our own American bred Koi and Butterfly Koi to the general retail public both online and to walk-in sales at the farm! We also sell anything you may ever need for your pond or fish! You can see our business hours here. Anyone can come to the farm during normal business hours to purchase fish, products or equipment. SORRY BUT NO PETS ARE ALLOWED ON THE FARM. Also Please refrain from bringing any live, sick or dead fish to the farm. For biosecurity reasons we do not allow any fish or even water samples on the property. There is too big a risk in bringing in disease. This is why we are a closed farm and breed all of the fish we sell right here on site. As for water testing, you should be testing you own water anyway, because certain water parameters can change during transport to someone else to test. Testing is fast and simple to do and we sell everything you need to test your own water. We can also show you how to do it yourself. It's easy! As for purchasing fish we take care of everything so you can get them home safely and in good health! So no need to bring anything for transporting them home. We can also ship fish anywhere in the USA! This site offers you the opportunity to learn more about Hanover Koi Farms, as well as all you ever wanted to know about Koi care and water quality management, and ponds. There is quite a bit of information to take in, but we promise when you read this information, you will be well on your way to becoming a master ponder and fish keeper. More important, you will learn how to keep your fish alive and thriving. Unfortunately, the Koi hobby is full of misinformation, partial truths, and simply bad advice, and contradiction, and this is especially true since the advent of the Internet. There are many websites and Koi forums from which you can learn some things for sure, but more often than not you will be given false and misleading information. Our website is here to help teach you the true science of Koi keeping. Once you learn the science, you will be able to sort through all the information out there and get to the facts and the truth. Koi will live for as many as 40-60 years if they are kept healthy! However, statistically the average life of Koi in the U.S. is much shorter because most folks do not know the basics of keeping fish alive and healthy. We promise that if you learn the material in this website, you too can keep your fish healthy and thriving! We put this website together to help you learn all about Koi husbandry, BUT YOU HAVE TO READ IT TO LEARN IT. Koi make great farm pond fish, as they help control algae. If you feed them, they will get very friendly too. Hanover Koi Farms is one of the largest retailers of Koi and Butterfly Koi (also known as Longfins) in the U.S. We have thousands of Koi on sale at any given time and available to the general public. We also carry more varieties of Koi as compared to most other dealers or breeders, and this gives you a selection that is almost overwhelming! Our retail Koi prices are competitive with most retailers who quarantine and treat their fish and that have comparable quality fish. Did you know that Hanover Koi Farms breeds some of the best Longfins/Butterfly Koi in the world? You will not find healthier fish anywhere! Every single fish is fully quarantined and temperature-cycled in specific temperature ranges to test for specific viruses. Most folks do not realize the importance of this temperature manipulation. There are some serious and deadly Koi viruses that only break in certain temperature ranges and/or when water temperature swings from cold to hot or vice versa. There is NO other place that does more to assure you get the healthiest fish possible. When it comes to Koi, we have one of the top bio-secure facilities in the country, and our quarantine protocol is second to none. As a matter of fact, we are one of the pioneers in developing many of the proven treatments protocols used throughout the industry and the hobby. Also on this site in our online catalog you will find many hard-to-find Koi products and medications, all of which can be shipped directly to your door year round. You can also come and pick them up right at the farm, and see our fish and our operation in person. The farm is open every year around April 1st through the end of October for walk-in sales. Fish and products are for sale year round on this website, including during the winter months. 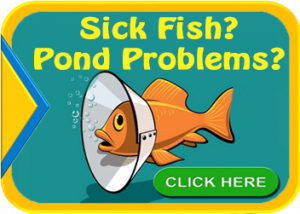 Save 95% on your pond and fish needs and stop hurting your fish! Not always by buying something...sometimes by NOT buying something! I could not decide where to put this so that it would get your attention, so I decided to put it right here on the homepage of the site. Even though it may completely destroy the flow and look of the home page, we feel it is critical you understand this as soon as possible. HKF sells anything you may ever need for your pond or fish, and this includes equipment for your new or existing pond. We do not offer ALL of these things for sale online directly, as there are simply too many to feasibly list. So make sure you read this entire notice, check in our online store, or contact us by email or phone if you can't find what you are looking for. It will save you big time! The Koi/pond/fish industry is destroying itself with their own greed, and I am fighting feverishly to try and stop them from ruining this hobby for all of us. At the same time I am trying to stop you from wasting your hard-earned money on harmful products, pond additives, and faulty or nonfunctional equipment. I will be as short and blunt as possible. I get many calls and emails from all over the world from people with fish and/or pond problems. Most of these problems occur because of what I am about to tell you. Many, many things sold for your fish or your pond are a waste of money, and many are even harmful! Think I am exaggerating? Well I'm not in the least. Hopefully once you read through the rest of our website you will understand this to be factual, and not as bold as it may seem to you right now. Keeping Koi, or any fish for that matter, is not complicated. It all comes down to a few simple things, like system design, water quality, and proper filtration. Understanding these basic things is the key to it all, and maintaining proper water quality through proper design and filtration is the heart and soul of being successful. The rest of this website will teach you how to easily achieve this. Now with that said, please understand immediately that proper fish husbandry and pond maintenance cannot be replaced with snake oils, magic elixirs, band aids or the fairy dusts that are being sold to you by this industry. Yes, 95% of them are useless, and many are actually be harmful to your fish! 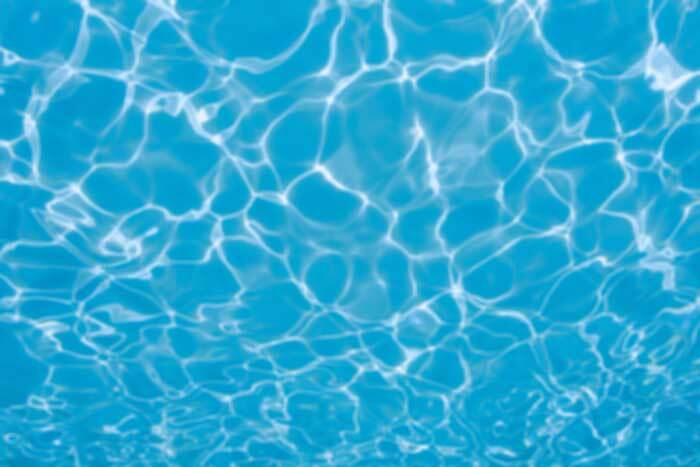 You do not need to add ANYTHING in the way of additives to your pond except for dechlorinator if you add water that contains chlorine, ammonia binder if you get ammonia, salt if you get nitrite or if your fish are sick, baking soda to maintain the proper kH/alkalinity and the occasional medications if your fish get sick. The PROPER medications, that is. If they advertise them as cure-alls, I can tell you right now they are not. There is simply no medication that will cure everything. Most pathogens require specific treatments. In most cases there are three types of medications you will need. You must also understand that even with these few items, you should be careful about what you buy. For example, salt. Some places sell "pond salt." This is not special salt designed for ponds, it is simply pure uniodized salt that is repackaged and sold for a ridiculous price under this made up name of "Pond Salt". You can go to Lowe's and get the exact same salt for 95% less! This is just one of many examples. Do not buy anything with the words "microbe," "enzymes," "beneficial bacteria," "flocculent," or other such things in the name, or ANY type of additives, similar to the ones mentioned above. You are wasting your money and hurting your fish. There is simply no other thing in liquid or powder form, pills or otherwise, that you need to or should put in your pond other than what I have mentioned above. Other items like barley straw, barley straw extract, tea oil , most algae treatments, copper ionization units for algae control, The list goes on and on! Hopefully this website will help you sort through all the hype, speculation, twisted science, wives' tales, snake oils, fairy dusts, and myths that are being preached to you by these some places that sell Koi as well as many of the manufacturers of these useless and harmful products and equipment. Also hopefully this website can help you sort through all the contradictions and confusion published out there, and make this hobby much less expensive and more enjoyable for you. So make sure you check out all the information available here on this site, and happy Koi keeping!